At a first glimpse, buzzing of heavy dissonance of heavy traffic and people might be massive, but the beautiful, colourful, chaotic, and coastal city has a diverse charm and beauty along with beautifully built Hindu Temple that is a heart of the city. The city Puri is also referred as the Jagannath Puri as the city is dedicated to the Lord Jagannath who is one of the forms of the Lord Vishnu. The temple in Puri is also among st the popular Char Dhams of India. The city remains rushed with the devotees all through the year. So, first thing before visiting place that comes to the mind of devotees is accommodation service. To provide the best accommodation services, there are numerous best hotels in Puri like Hotel Sonali, Hotel Bangalaxmi, Deep Resort, etc. 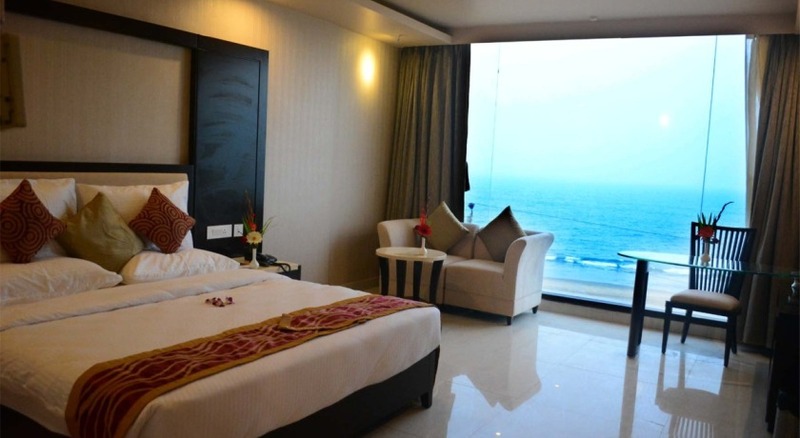 To enjoy the scenic beauty of the beautiful beaches in Puri, people usually like to book a hotel from where they can also enjoy the sea view. If you wish to make your trip to Puri unforgettable, then you may choose Hotel Sonali, Puri that is one of the hotels in Puri that offers luxurious services at affordable prices. The hotel offers a lot of conveniences as it is located near to the Railway station of Puri, approximately at 2.5 km. Even, it is easy to reach Bhubaneswar Airport in less time from this hotel. Travelers may enjoy the picturesque beauty of the sea as the hotel is situated on the front of all other hotels located on the Golden Beach of Bay of Bengal. One of the popular shopping centres of Puri, Swargadwar is also located near to the hotel Sonali. Every room of the hotel is sea facing i.e. the beautiful sea view can be enjoyed by travelers from the balcony of the room also. Whether you wish to stay in AC room or Non-AC, the hotel offers planet rooms of both types. If you wish to take the sea bath to add some great adventure to your trip, then the hotel also provides you the lifeguards for your safety. The hotel has a decorated terrace where you can enjoy the sea view and food and could spend a good time with your family or friends. The hotel also provides free bus services from/to the railway station of Puri. You can also book your air tickets easily with the help of our travel agents. Taking care of everyone, the hotel also offers you the facility of beauty parlor for both males and females. The great thing about Hotel Sonali, Puri is that it offers all the above-discussed services and facilities at very reasonable prices. What more can traveler need if he or she is getting numerous awesome services at pocket-friendly prices! Make your trip to Puri unforgettable by staying in one of the popular sea facing hotels in Puri i.e. Hotel Sonali. To book this hotel, visit now at hotelbooking2puri.com that is known for providing the quality hotels in Puri.